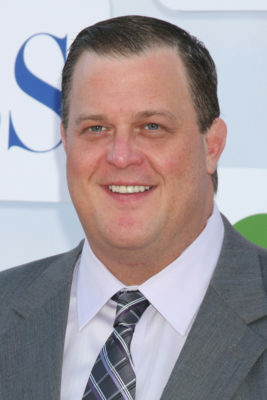 Billy Gardell is headed back to CBS. EW reports the Mike & Molly star will guest on Young Sheldon. A spin-off of The Big Bang Theory, the comedy unfolds in 1989 and centers on a nine-year-old Sheldon Cooper (Iain Armitage) as he grows up in East Texas. The cast also includes Zoe Perry, Lance Barber, Annie Potts, Montana Jordan, and Raegan Revord. On Young Sheldon, Gardell will be playing “Herschel Sparks, the chicken-raising neighbor of the Coopers and father of Sheldon’s tormentor, Billy Sparks.” The comedy returns to CBS on November 2nd at 8:30 p.m. ET/PT. What do you think? Are you watching Young Sheldon? Do you think it should be renewed for a second season? More about: CBS TV shows: canceled or renewed?, Young Sheldon, Young Sheldon: canceled or renewed? Young Sheldon: Cancelled or Renewed for Season Two On CBS? Love this show. It was really good for 1st show of the second season. Can’t wait for more of this funny show.